I am currently working on my Women's March Project. The Women's March was the largest single-day protest in U.S. history with between 3 to 4.5+ million people participating in the marches across the United States and up to 5 million worldwide. 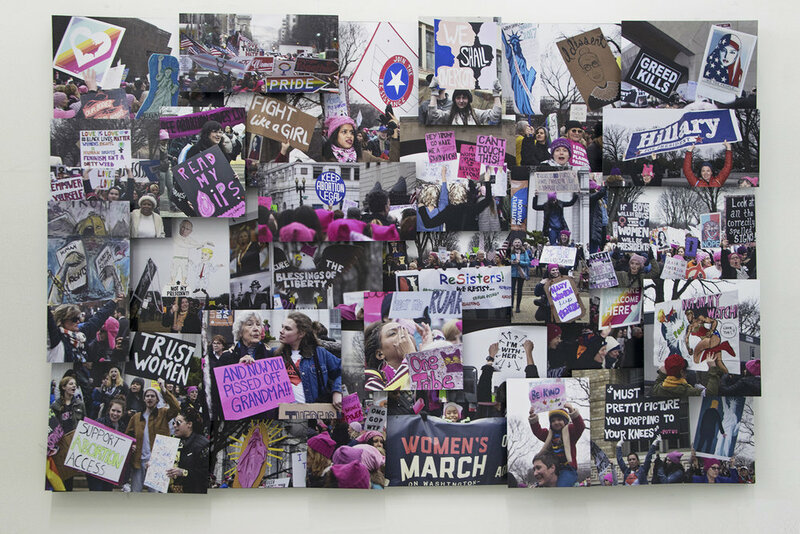 I have just created a large, 3d panel (48'x72') from photographs I captured at the Women's March on Washington in 2017. I photographed the Seattle Women's March 2.0 in 2018. This panel is currently underway in my studio. With the mission of the Women's March to unify and empower everyone who stands for human rights, civil liberties and social justice for all, as well as hold politicians accountable, these marches truly align with my mission of art building community. My goal is to shoot the third annual Women's March LA, Truth to Power, this Saturday, January 19th, 2019. I need to raise funds to fly to Los Angelos, photograph and produce several more panels. The more money raised, the more panels I can produce from these marches to share with the community.